Since moving to MN, I have switched up my daily routine quite a bit. One of the biggest changes was moving my workout from the morning before work to the evening after work. The struggle of packing everything I needed for the work day and workout quickly became challenging (and annoying) as I walked into work with multiple bags everyday. 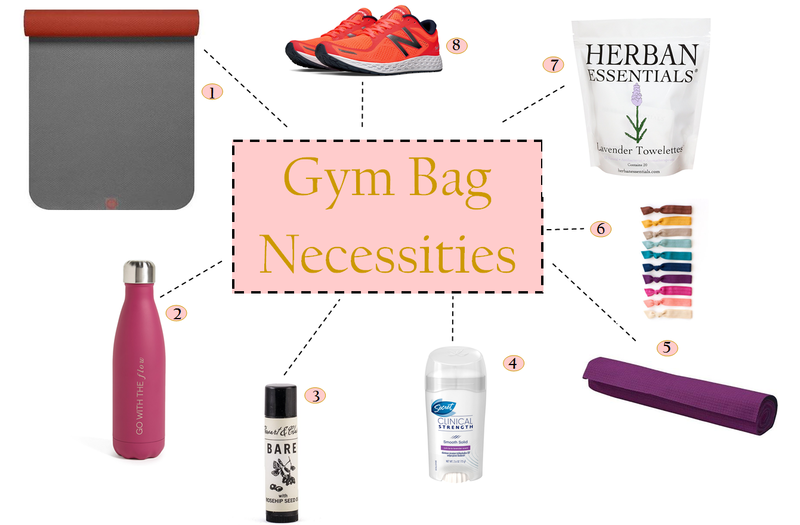 I now see the importance of having a good gym bag! Since I did not own a good gym bag, I recently treated myself to my new favorite belonging, the Lululemon Yin Time Bag. This bag is amazing. It is very durable, the perfect size, and has tons of labeled pockets for just about everything you could think. There is a protected home for your laptop, separate small pocket just for your phone, and separated zippered pockets to store all your sweaty clothes and towels. It comes with additional longer straps and yoga mat straps if you need them! So what do I keep in this lovely bag? I definitely keep things simple – fortunately, I do not have to shower at my gym or studio so I just keep the essentials. Banyan & Bo Yoga Mat – durable and holds up great during a hot sweaty yoga class. This mat is perfect for someone who doesn’t want to splurge on an expensive mat..
Stewart & Claire Lip Balm – all natural, nourishing lip balm to keep your lips from drying out – really clutch as winter weather approaches..
Elastic Free Hair Ties (tons of them) – I mean hair elastics disappear all the time!! You need lots of back up..
Herban Essentials Cleansing Towelettes – I use these religiously for a quick face cleanse after class (you really shouldn’t let sweat hang out on your face for too long). They are also dual purpose and can be used to clean your yoga mat! 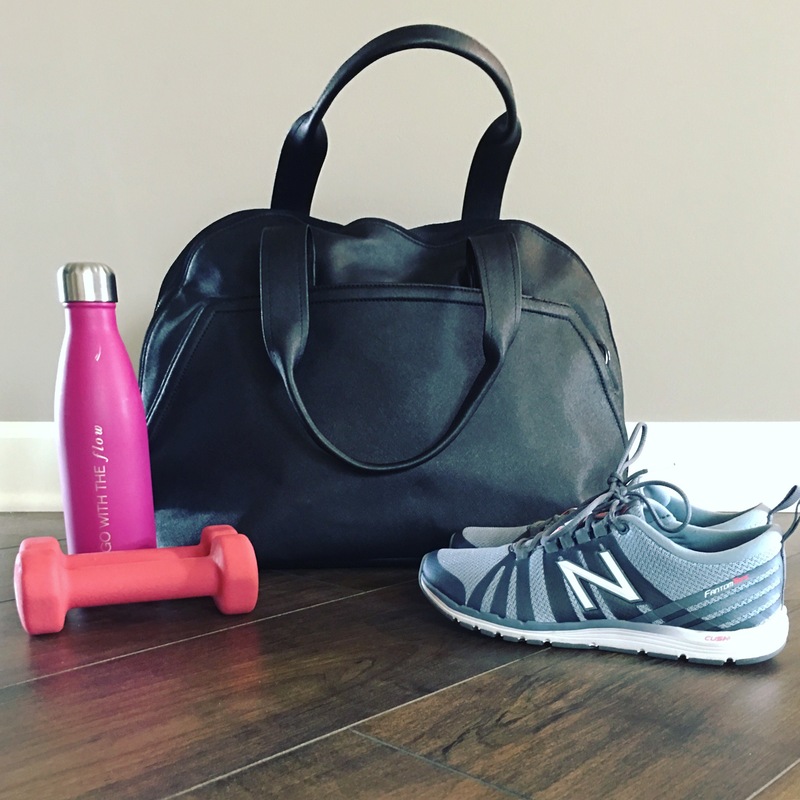 New Balance Fresh Foam Sneakers – I swear by New Balance sneakers – whether its these fresh foam sneakers I use mainly for running or a pair of their 811 trainers for a good strength training session.